The other day I almost got hit by a car on my bicycle because of a left turning car. That gave me a reason to think. Not about the absurdity of life and its fragility. I already pondered about that at age seven. Instead this blog is about left turns. I do not drive a car and I do not hate drivers of cars but I hate drivers of cars who make reckless left turns. Left turns slow down traffic and more importantly it is dangerous. People who think about math or philosophy on their way to and from work should not drive a car. The perfect driver is some robotic autistic person who focuses on all external distractions: crazy cyclist, reckless pedestrians, psychopath drivers, bad weather, buffalos, etc. You name it. Airplanes are on automatic pilot most of the time until there is a crisis. That is why air travel is the safest way to travel. Both died in car accidents. Two great minds united by a fatal accident involving cars. Some companies care about philosophers and mathematicians. And here are some alternatives. Consider the good ol’ roundabout from the UK. It must work because even the French are adopting it. Half of them’ roundabouts are in France nowadays. The most famous ones are Place de l’Étoile and Place de la Bastille. Like I said in a previous blog fewer stop lights cause fewer accidents because drivers actually have to pay attention. It is not just about three colors: red, orange and green. No more texting and tweeting until the mighty green light says stop! And this other solution is brought to you from Versailles, France. No really the Chateau where the kings and queens used to live. This solution is now adopted in parts of the US. Actually the US is closer to France than most people realize. Hint: who paid for the Statue of Liberty? Freedom fries are still called French fries. This awesome simulation was brought to my attention. No traffic jams, no accidents, all controlled by software and silicon. 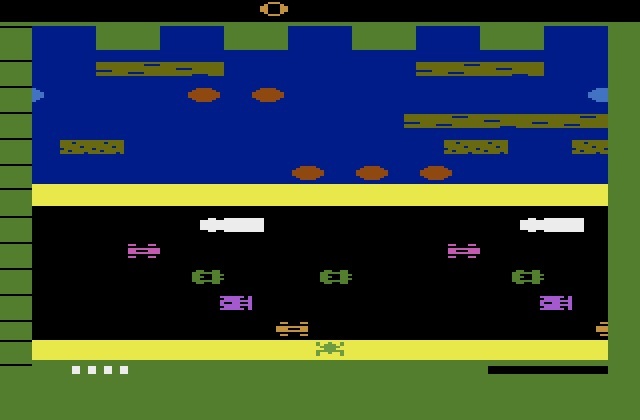 Just like a computer playing frogger. Ah... playing this while listening to early eighties punk. Safe driving guys and pay attention to your fellow cyclists.